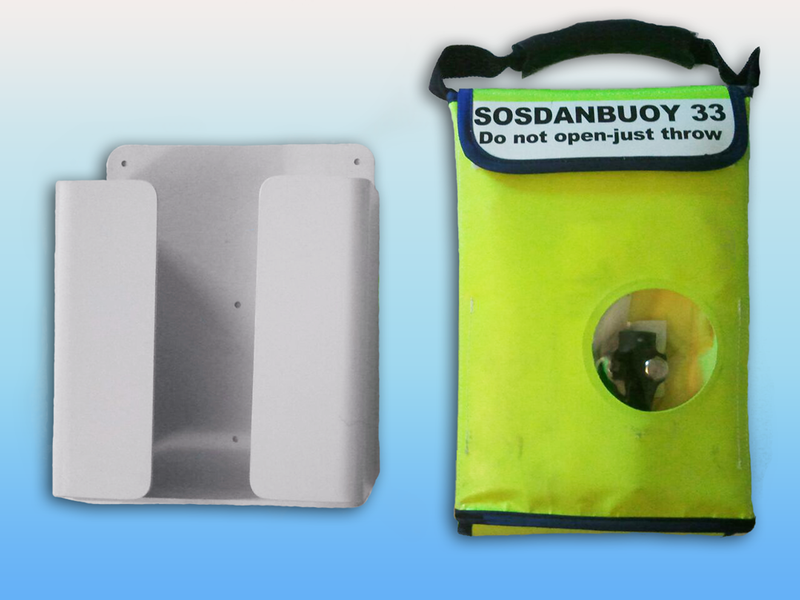 Buy this combination, the SOS Marine man overboard dan buoy and the Dan Hold buoy holder / mounting bracket, and get free shipping on the holder. 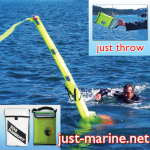 You can instead buy the dan buoy with Dan Bag holder if you prefer. Read more about mounting options. The Dan Hold holder itself is off–white. 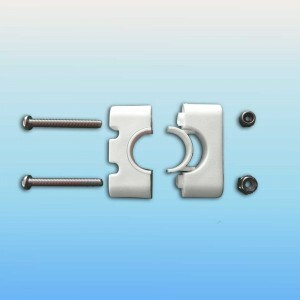 The optional rail mount brackets are white. 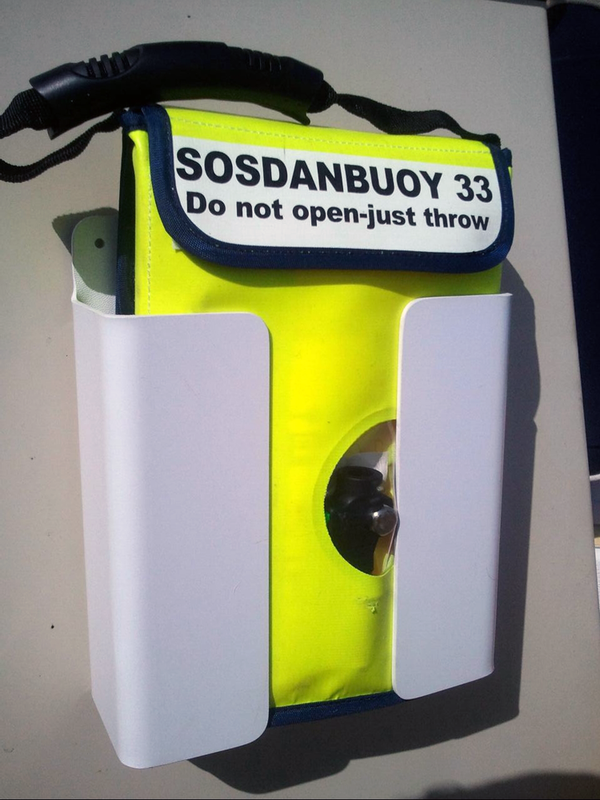 The Dan Hold is a convenient and functional holder, bracket, and mount for the SOS Dan Buoy MOB marker. 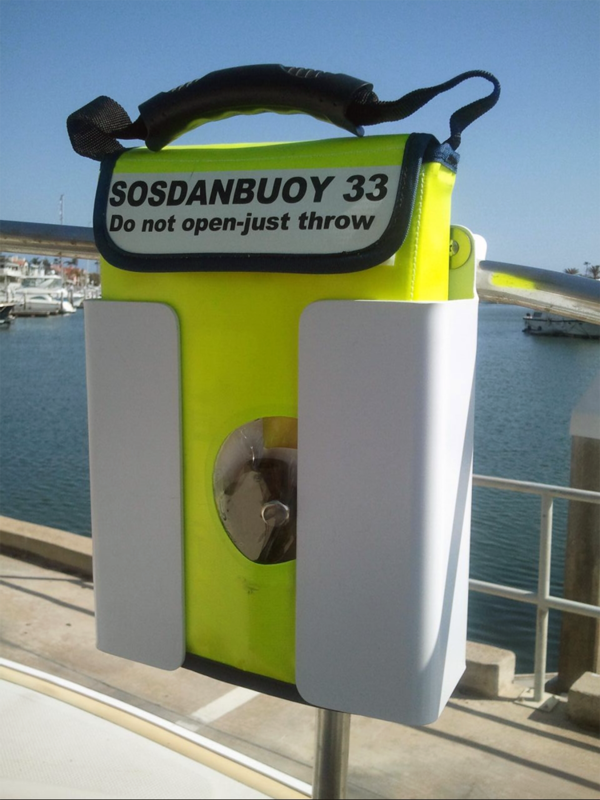 It is designed to facilitate the quick deployment of the dan buoy while at the same time offering durability and installation flexibility to the boat owner. 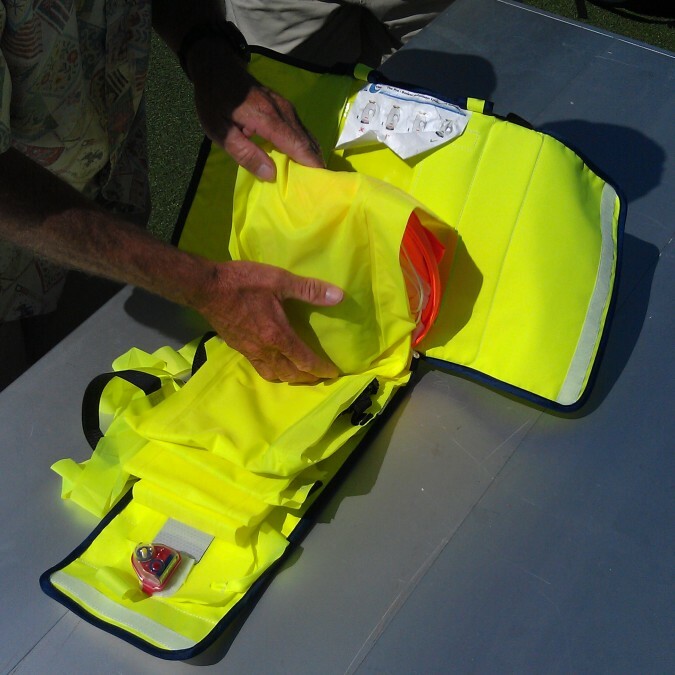 It is fabricated from Kydex-T, a high end plastic that is flexible yet very durable and weather- and UV light-resistant. 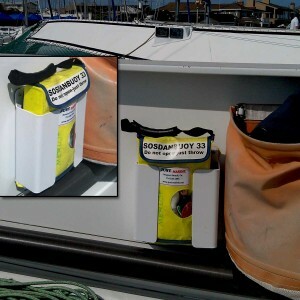 This man overboard marker is quick and easy to use. Just Throw! immediately to your MOB. 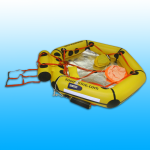 In seven seconds, the SOS Marine dan buoy self inflates. 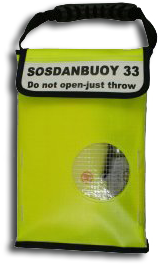 It becomes a six foot tall floating inflated spar buoy, with an eight foot streamer and strobe at its top, made of super high visibility day–glow fluorescent yellow material. 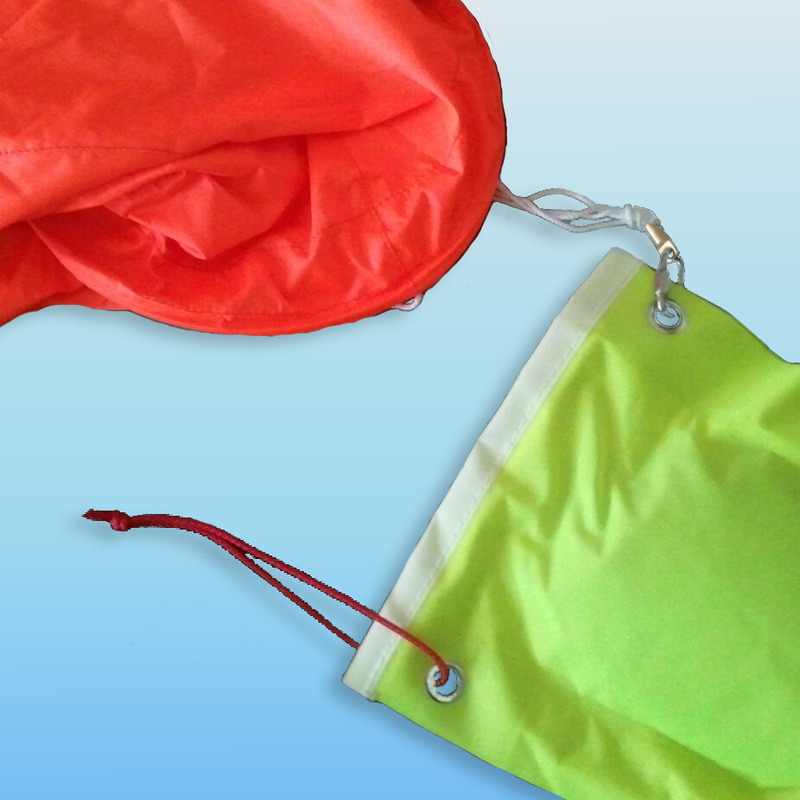 It is ballasted to maintain as vertical an attitude as the wind and sea conditions allow. Night time visibility is enhanced by the automatically activated strobe light and lengths of SOLAS light reflective tape. 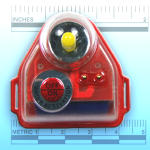 A whistle helps the man overboard alert you to his position in heavy fog, and the device incorporates hand holds so the man in the water can hang on to the highly visible buoy. 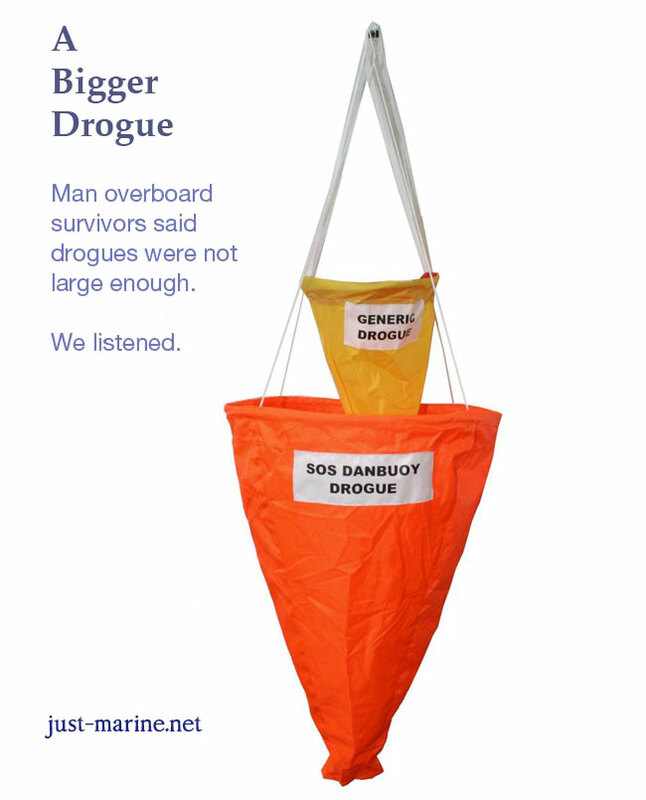 Click to a complete description of this man overboard buoy including other videos, documents and more. This product comes complete with necessary CO2 cartridge which you will need to install. Buying the Dan Hold mounting bracket with your dan buoy in this combination product saves you money on shipping compared to buying them separately! 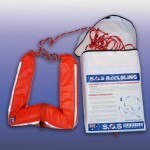 Bulkhead mounting is a great choice if your vessel’s circumstances permit. 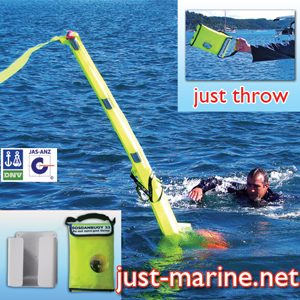 Mount the dan buoy where it is easily accessible on a moment's notice when you need to throw the dan buoy to a man overboard. On a pilothouse motor yacht, this might be just inside the wheelhouse. On a commercial fishing boat, you might locate the Dan Hold on the aft end of the house in the cockpit area. 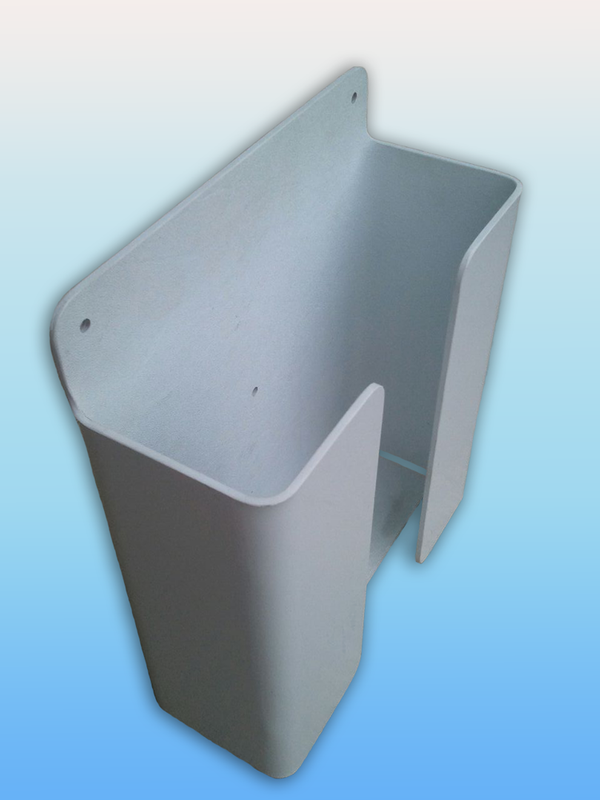 You are welcome to contact us to discuss your mounting plans. 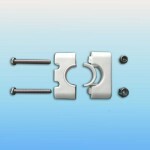 If stanchion, pulpit, or rail mounting suits your vessel better, you might use these Rail Mount Brackets (SKU RM100W - not included with Dan Hold - suits ⅞″ to 1″ diameter tubing; see adjacent image).